I love to garden and I know so many other people who love to garden, as well. Lately, I began thinking about gifts to give people who love to garden. Practically everyone in my family gardens and gifts for them are often difficult to find. So what did I do? I started looking for some great DIY gifts for gardeners. And, I found 20 of the most amazing gifts that you can give to your gardening lovers. All of these are easy to make and many of them can be made with upcycled materials, so they are also pretty cheap gifts to give – although your gardening lovers will adore them just the same as anything you can buy in a store. Finding gifts for gardeners is not impossible per se, but what’s better than something that you make yourself? From unique plant markers to watering cans and even homemade gardening gloves, you can give the gift of DIY to your favorite gardener and I guarantee that they will love all of the DIY gifts on this list. You can make so many wonderful things with upcycled materials. Just look at these 30 gorgeous DIY mosaic projects. Any of them would make a wonderful gift for a gardening lover and for yourself, as well. If you have someone in your family or friend circle who truly loves to garden, then you just have to take a look at these unique DIY gifts for gardeners. You will likely find a few things that you will want to DIY for yourself, as well. All of them are gorgeous and they are all really useful in the veggie or flower garden. And, be sure that you check out these 20 DIY trellis ideas to add beauty to your garden. 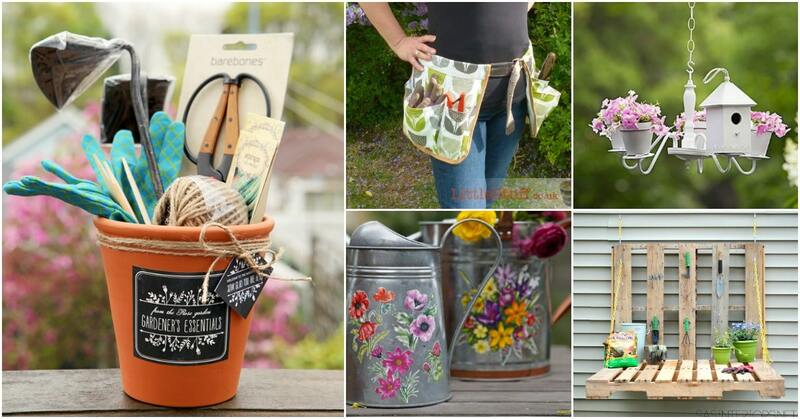 You just have to love DIY garden projects and these gifts are among the best. 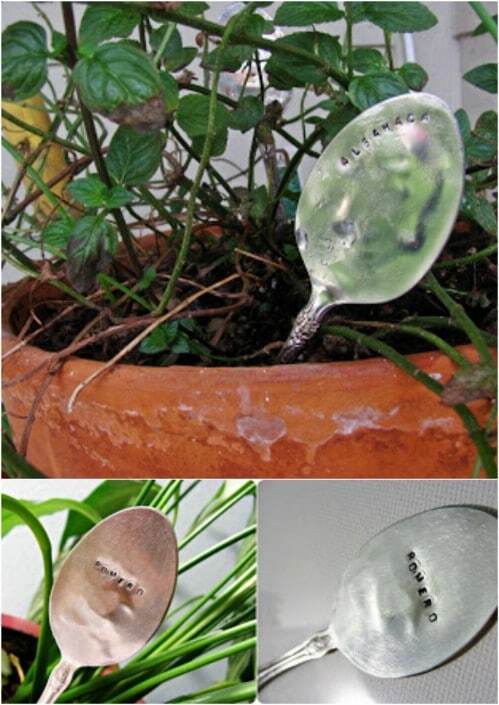 Anyone who loves to garden is going to love these DIY antique spoon plant markers. 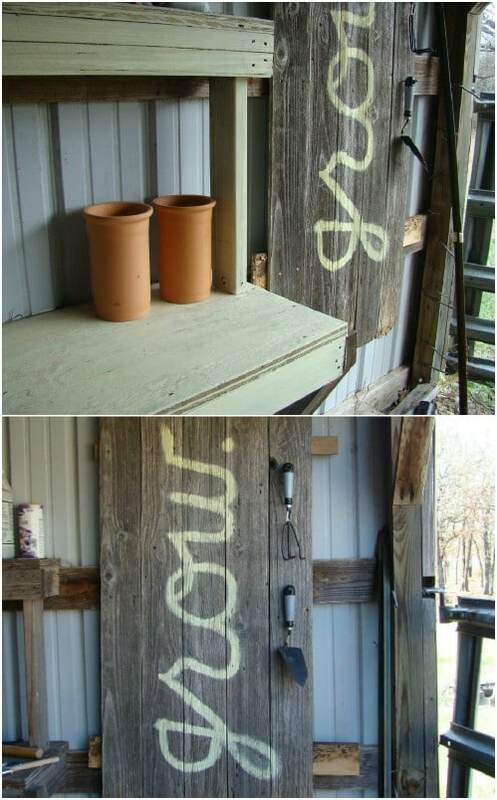 Gardeners can use these indoors or out to mark their favorite flowers or in their herb gardens. You just use old spoons and stamp them – or paint them if you prefer – with plant names. You can create an entire collection of plant markers and your gardening lover is going to adore these. 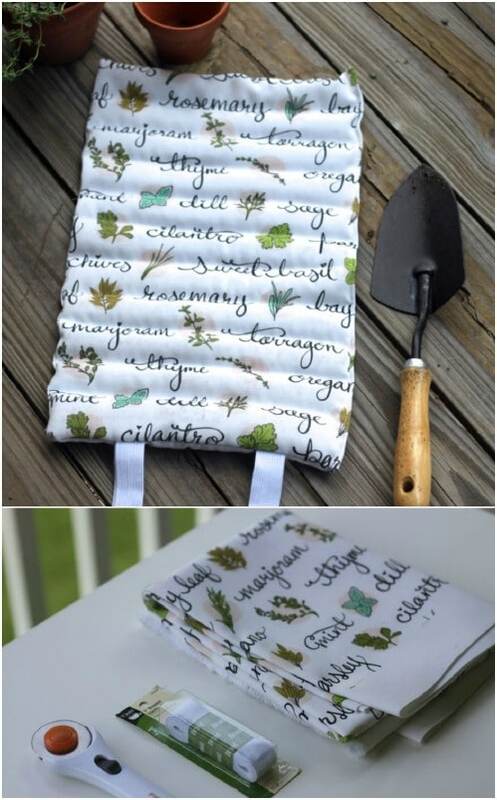 What a wonderful gift for a gardener! 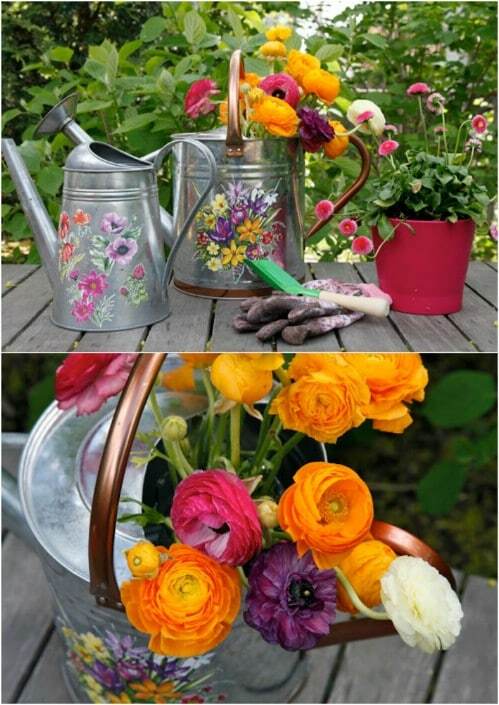 These DIY decorative watering cans are perfect for anyone who loves to garden. They are so functional and can be used for watering plants or as planters themselves. And, you can get these plain watering cans that you customize really cheap at the Dollar Store or you can check your local thrift stores. Then just add your chosen images and you have the perfect gift for any gardener. An old chandelier and a couple of hours of work gives you the perfect gift for any gardener. 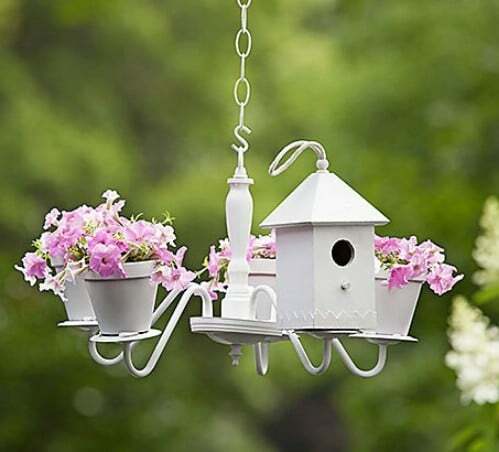 You can turn that old chandelier into a combination birdhouse and planter. Just add a little wooden birdhouse, that you can build yourself and then fill in the spaces with tiny terra cotta pots that your gardener will love to use for planting his or her favorite blooms. And, you can find old chandeliers really cheap at any thrift store or yard sale. 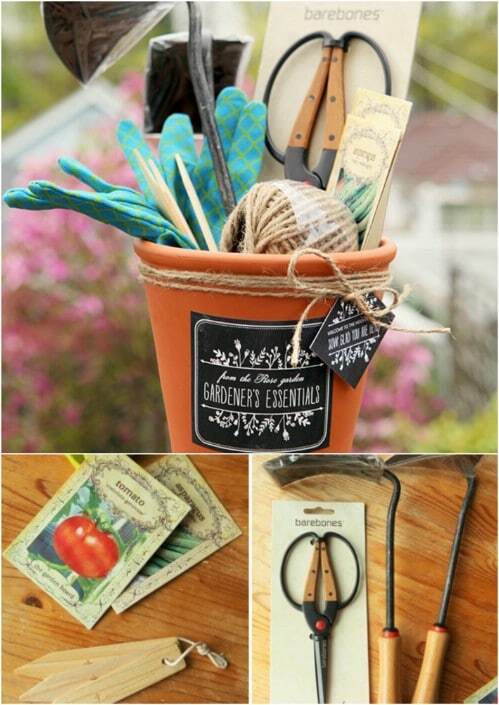 Take a cheap terra cotta pot, add some chalkboard paint and then fill it with wonderful gardening essentials like small gardening tools, gloves and even seed packets. This is the perfect gift for anyone who loves to garden. You get to choose what goes into your gardener’s basket so you can customize it to who you are giving it to. And, all of the supplies are pretty cheap but together, they make a priceless gift that your gardener is sure to love. Gardeners – avid gardeners anyway – need gloves, right? You can make a wonderful pair of gloves with an old sweatshirt. These gloves make an awesome gift and they are super easy to make. You can give these as a gift on their own or add your DIY sweatshirt garden gloves to a DIY gardener’s gift basket along with other supplies. I really love good DIY sewing gifts that you can make in a jiffy and this is definitely one of those. What better gift to give a gardener than something to plant? This DIY gardening seed tape is so perfect. You just add whatever seeds you know that your gardener will love and then they just have to plant the tape wherever they want. This is an excellent DIY gift for new gardeners, too. 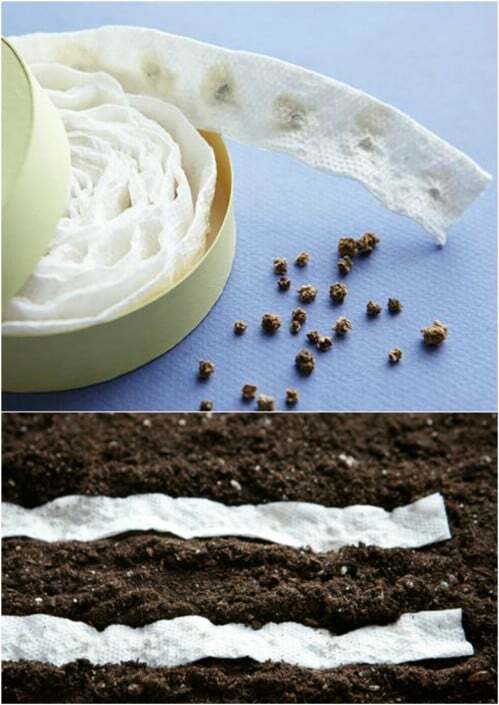 They will find it so easy to grow beautiful plants with this DIY gardening seed tape. Garden stones are a great gift for people who love to garden. Anything that lets them add style and design to their garden is a great gift and you can make your own DIY garden stones pretty easily. There are so many different ways to create your own garden stones and many of these use recycled materials so you can make them for nothing and they are all beautiful. 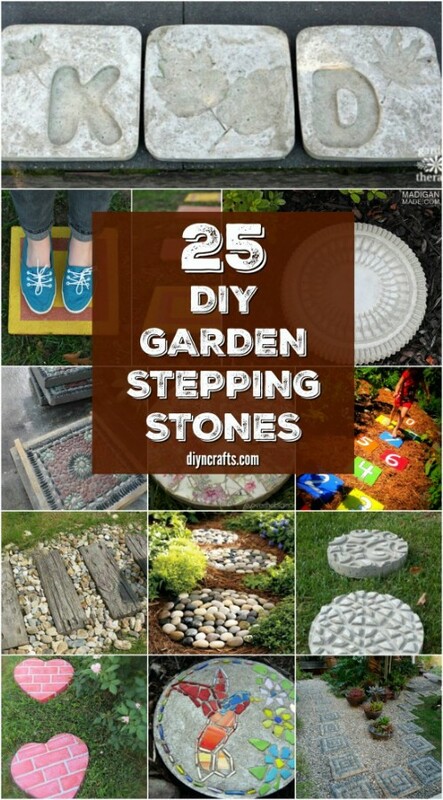 DIY garden stones are the perfect gift for any gardening lover. A DIY terrarium kit would also make a wonderful gift for gardeners. You make this DIY gift in a mason jar and add a label that explains how to use it for your gift recipient. This is a great winter gift as they can begin using it right away indoors and it is perfect for new gardeners who are just getting started with their plantings. Terrariums are wonderful gifts for any garden lover or anytime you want to give something sensible yet beautiful. There are a number of DIY garden markers that you could make to give as gifts to your gardening lover. These popsicle stick markers are super easy to make and you can create them from recycled popsicle sticks. Or, buy a bag of sticks at the Dollar Store or a craft or hobby store. They are super cheap and this is a great gift to help your gardener to organize their plants. Give your gardener the gift of giving a gift with these Fresh From The Garden gift tags. These are great for anyone who loves to gift their garden harvest. If you have someone on your gift giving list that gives canned foods or homemade pickles or jams as gifts, homemade gift tags are a great gift for them. You help them to prepare for their own gift giving by giving a homemade gift. If you want a truly unique and really useful gift for your favorite gardener, take some time and make them their very own bar of gardener’s soap. 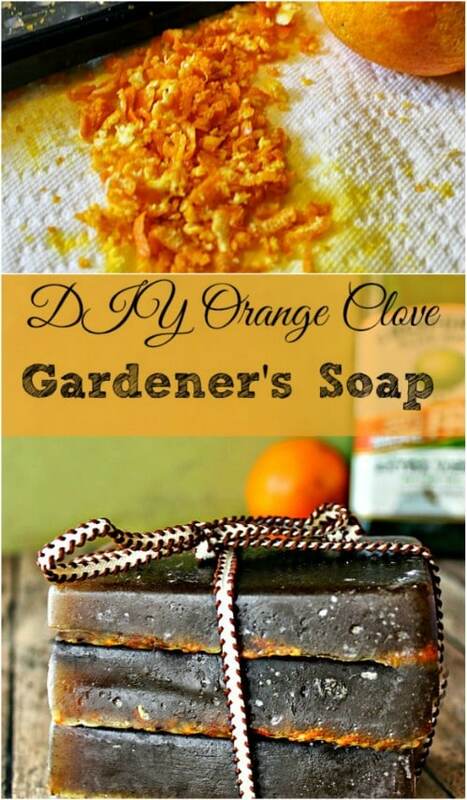 This is a really easy soap recipe and it makes several bars so you could split them up and make a unique gift for more than one gardening lover. The soap is perfect for cleaning dirt off your hands and it has a wonderful moisturizing property, too. I really love handmade soaps and this one is perfect for gardeners. Upcycled gifts are my favorites. 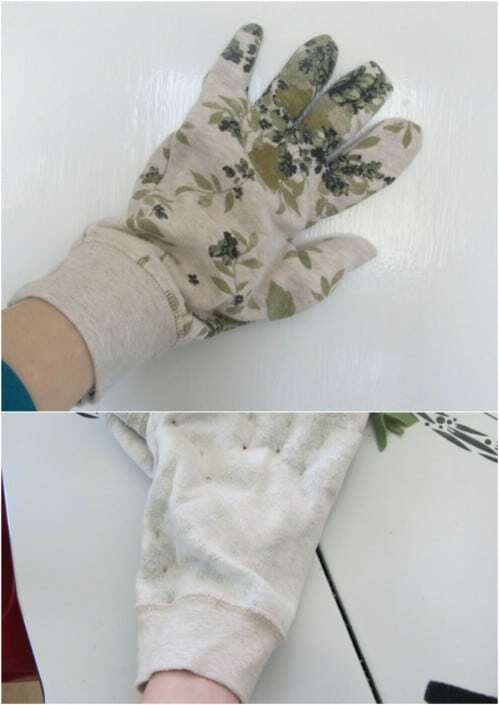 Take this DIY garden glove rack for instance. 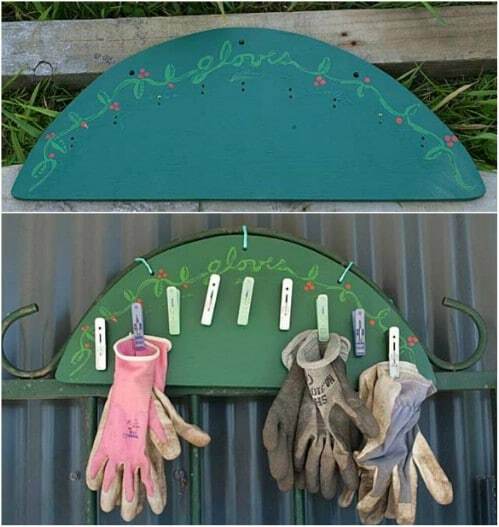 You can make this from an old piece of plywood and a few plastic or metal clips and it is perfect for helping gardening lovers to organize and store their gardening gloves. This is a really simple project, too and it will only take you a couple of hours to complete. Plus, if you have some leftover plywood and other materials, this one won’t cost you anything to build. 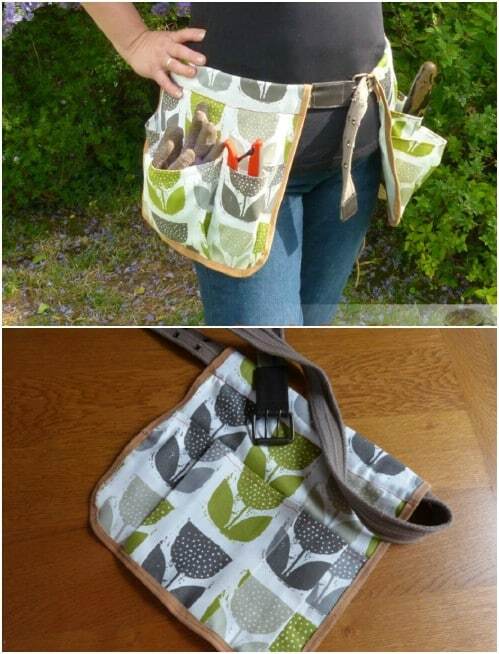 This DIY garden tool belt is a wonderful gift to give your avid gardener. It is really easy to make and you could make it with scrap material that you have left over from other sewing projects. You can have this one done in just a couple of hours, depending on your sewing skills, and it is perfect for those who love to garden. It holds all of their needed tools and makes it so simple to get out there and tend to those plants. 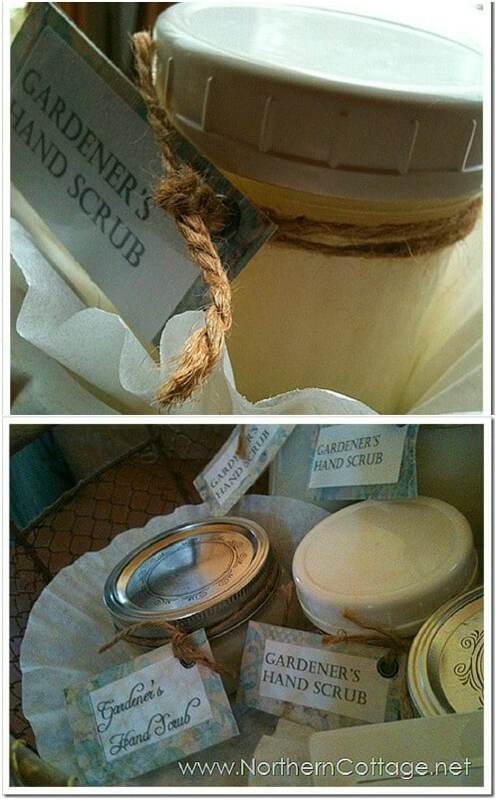 Homemade hand scrub is a wonderful gift for anyone who loves to garden. This recipe is super easy to follow and you can make a rather large batch so you have plenty to give and some to keep for yourself. Just put the scrub in a small mason or jelly jar and add a label. Peppermint extract gives it a wonderful scent and you can add this to a homemade gardener’s gift basket or just give it by itself. tools organized. It’s super easy to build and with leftover wood as your base, it’s also free to build. And when those tools get old and rusty, there are some wonderful ways to repurpose old gardening tools that also make great gifts. This garden kneeling pad is a must for avid gardeners and the DIY version is super easy to make. You don’t even have to be a really skilled sewer to make this one. It only takes about an hour or so to create and it is perfect for making gardening a bit more comfortable. You could even use scrap fabric for this one and give it a nice quilted look if you don’t have enough of one specific design available. 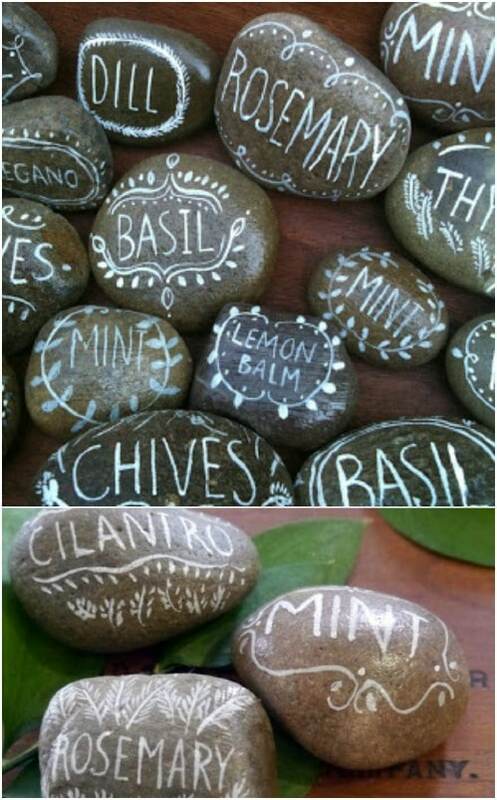 Go outside and grab a few stones and then turn them into gorgeous herb garden markers for your garden lover. These stone markers are really beautiful and they are so easy to make. This is also a great project for kids. They can help you to choose the stones and to paint them and you can use whatever paint or picture design that you want to make them a bit more personal for your gift recipient. What a wonderful gift! 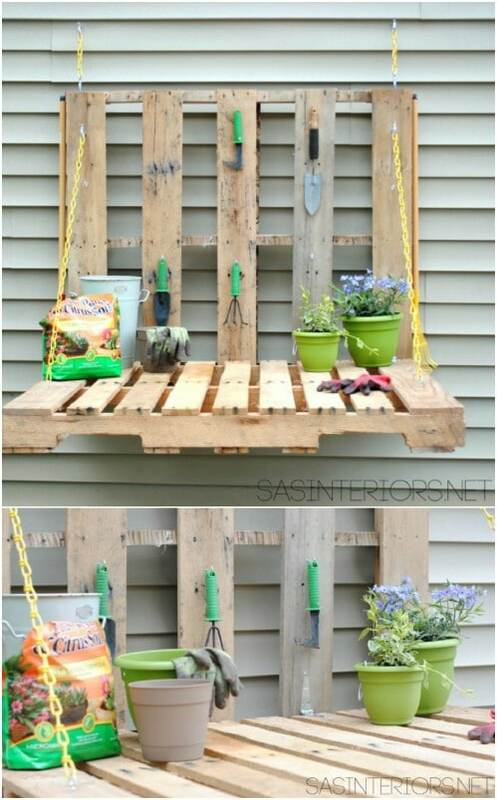 If you have someone who really loves to garden, and you have a few pallets on hand, you can make them this fold down pallet gardening table that doubles as a potting table and then folds up and out of the way when not in use. This is perfect for transplanting those flowers and veggies as they get ready and it is really easy to build. 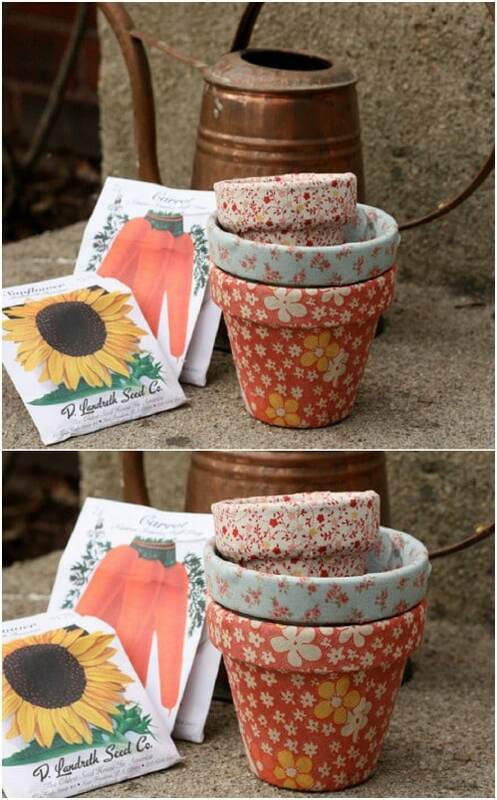 Give the gift of beauty with these hand painted terra cotta pots. Garden lovers are going to adore these. You just find some old pots and then paint them and turn them new. You can use any design or scheme that you want to customize them and you can often find terra cotta pots at thrift stores for around a dollar each. Or, check with the Dollar Store if you don’t have a few on hand that you can use. Terra cotta crafts are so easy and they make wonderful gifts. Avid gardeners are going to need to know when to plant certain plants and veggies. This DIY planting calendar is perfect for that. 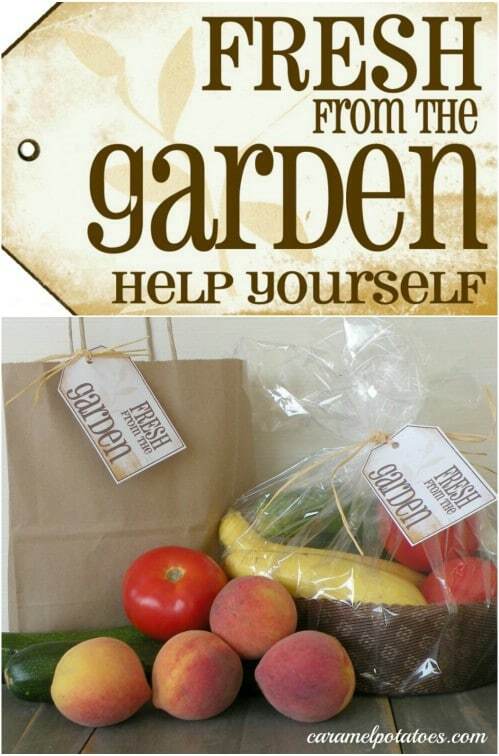 This is a great gift for new and seasoned gardeners and it is so easy to make. 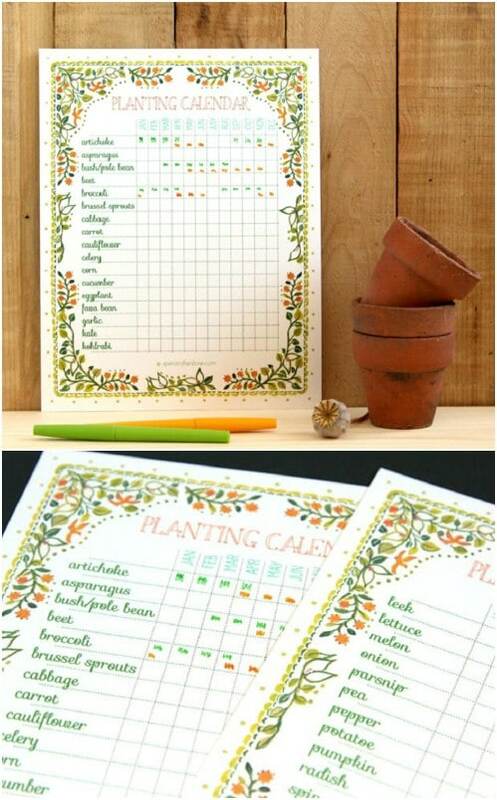 You just print off the planting calendar and then you can customize it and even laminate it to make it a bit sturdier. This is one of the easiest DIY gifts that you could create for gardening lovers and it’s one of the least expensive, too. Thanks for sharing such a great selection of inspiring ideas!